For centuries, there’s been a long standing debate between high heels and flats in the fashion industry. Some people prefer high heels for the extra height they give, while other people prefer flats because they’re more comfortable. 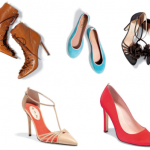 Instead of investing in a pair of shoes you might not wear, it’s important to compare the pros and cons of each type to determine which women’s shoes are more suitable for your lifestyle. Here are the differences between high heels and flats when buying women shoes online or in-store. High heels are a staple in many wardrobes, able to dress up any outfit. High heels are also versatile, as they can be worn with different items of clothing including dresses, skirts and jeans. High heels offer height to people who want to look taller than they actually are. This is a great solution for people who are short, as wearing heels makes the legs look longer. High heels also give a slimmer physique because your back arches when wearing them, creating an illusion of a smaller waist. Depending on the heel height you choose, your calves have to adjust to the changes, causing them to tighten. This allows them to gain more muscle. Lastly, high heels can boost your self-confidence and make you feel more authoritative. They also add elegance to your outfit, irrespective of heel length or colour. 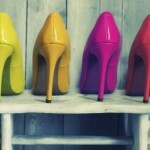 Although stylish, high heels can cause major problems for your feet as well as your bank account. High heels can stop your foot from naturally rotating when you walk, instead forcing them into a straight and unbending position. This can lead to severe joint pain, causing your knees, ankles and feet to feel stiff. High heels can additionally cause lower back pain, as your pelvis pushes forward when you walk and stand. The lack of cushioning can also lead to an excessive amount of pressure being forced onto the ball of your foot, causing sprained ankles and other serious injuries. In addition to the many health risks, high heels can be expensive – even when shopping for women shoes online. 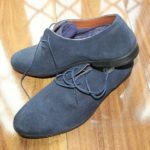 They also might not last as long as another pair of shoes, so if you’re looking at buying heels, it’s a good idea to invest in a high-quality pair. Flats are definitely underrated when it comes to formal shoes. However, many shops that sell women’s shoes online will have a variety of colours and styles to choose from. Most people wear flats because they’re extremely comfortable. They allow you to be on your feet all day without experiencing severe aches and pains. 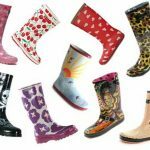 They’re practical for work, shopping and running errands and are also great for all different weather conditions, as they reduce your chances of slipping over and hurting yourself. Flats are also a safer shoe choice, as they’re much easier to drive in due to eliminating the chance of getting your heel caught in the brake or accelerator. Furthermore, flats allow your stance to be kept even and balanced which reduces the risk of getting back pain and sore ankles. Although flats are super comfortable, they don’t add extra height to your stance. This can be a problem for people who are relatively shorter than the average person. Flats can also cause ingrown toenails and bone infections if they don’t fit properly. Ensure your toes have enough room to move. Moreover, like heels, flats can cause back, hip and knee problems without the right support. It’s therefore important to invest in a sturdy and durable pair of flats when shopping for women shoes online. 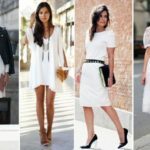 What styles of shoes should use depending on your legs and height? Look flawless on your casual friday!